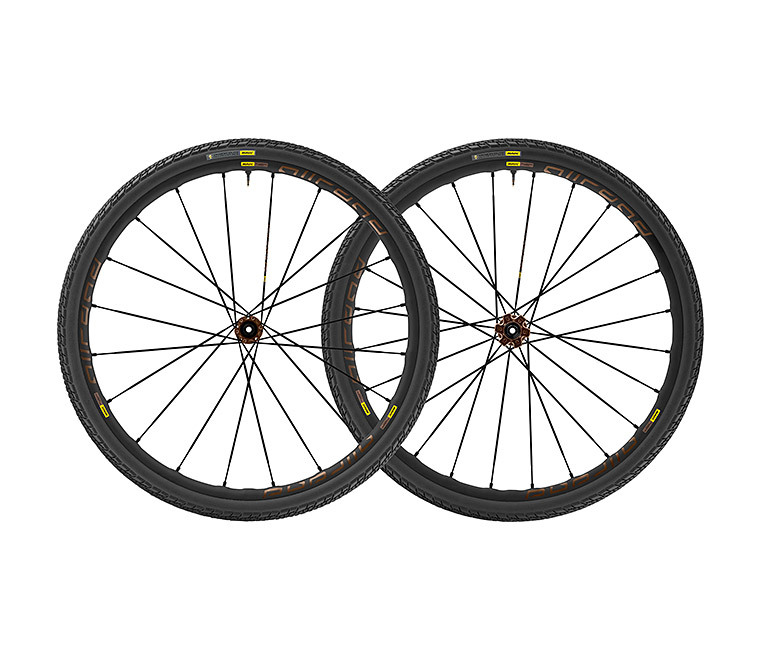 Introducing the Mavic Allroad Pro UST Centre Lock 700c Wheelset. Gravel, dirt, cobbles, sand… throw anything at it and the Allroad Pro Disc Allroad will bring you through it easy. These wheels are made using the Soude Usine Process (SUP). After bending, the rim joint is arc welded and then is milled for a smooth finish. Featuring Inter Spoke milling in 4 dimensions, an exclusive Mavic patented concept, ISM 4D significantly reduces weight and inertia with compromising durability, you will have quicker accelerations, better handling and more resistance, the perfect mix to make the most of any ride. The rim its self is made from the Mavic exclusive aluminium alloy, offering a higher strength to weight ratio than a conventional 6106 alloy.